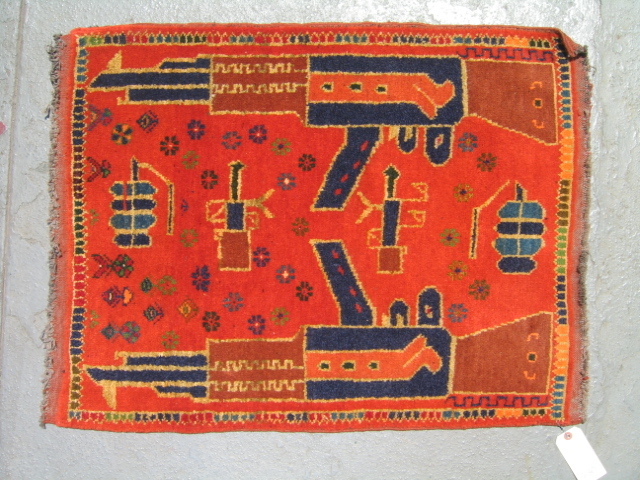 Images of weapons depicted on Afghan war rugs and carpets. 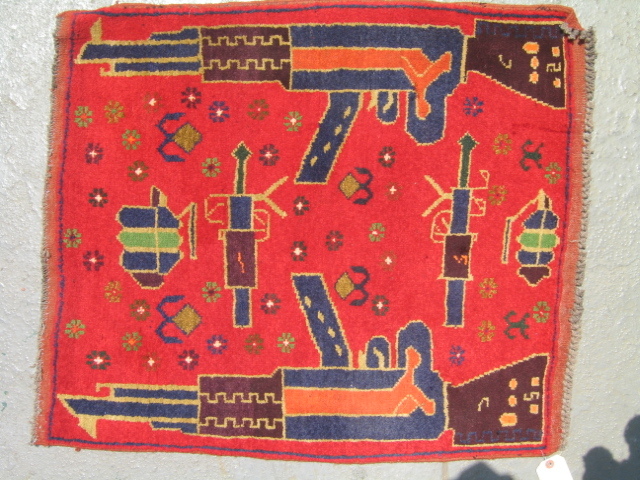 This entry was posted in General, Rug Images, The War, The Weapons on April 10, 2019 by Kevin. 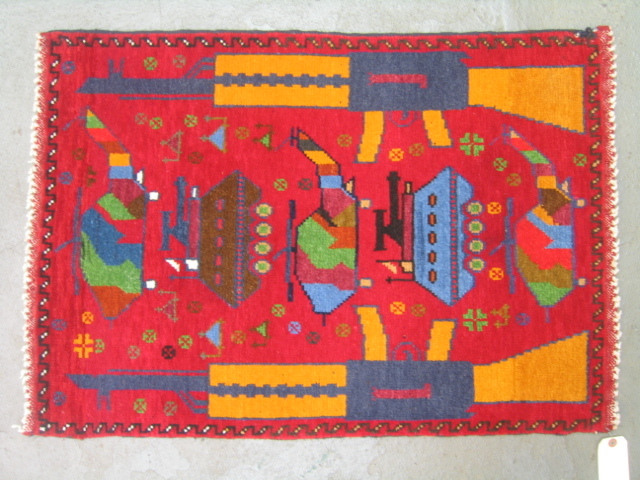 Warrug.com recently received a shipment of rugs from Peshawar, Pakistan including some new designs woven in Pakistan. 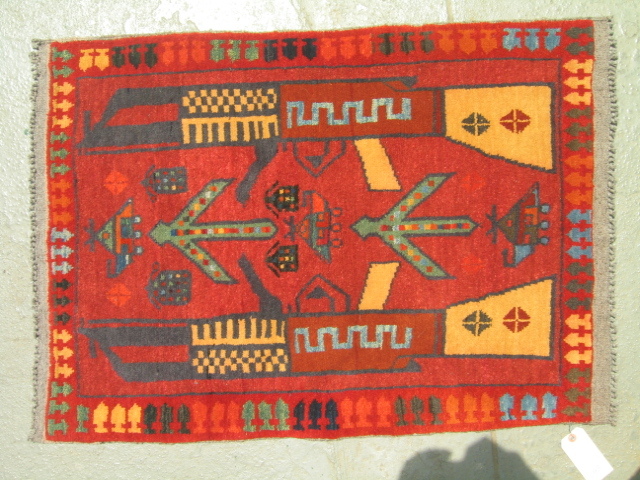 The weavers are Afghan Turkmen who have settled permenantly in Pakistan after being refugees. 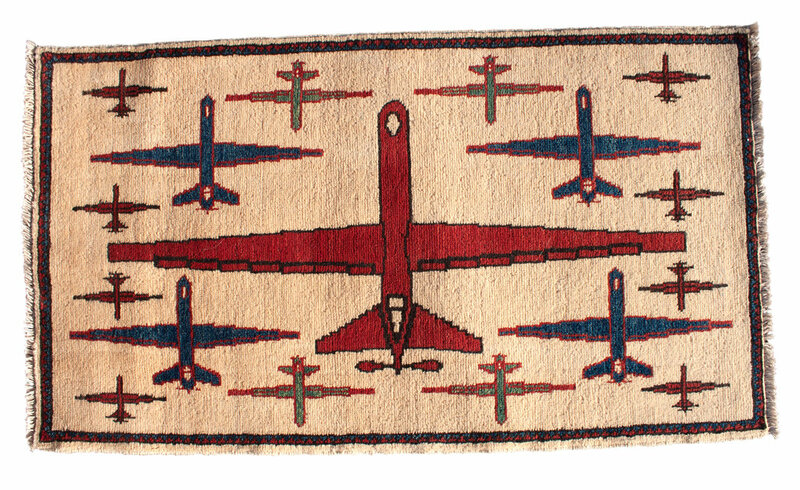 This summer they produced three rugs featuring Unmanned Aerial Vehicles (UAV’s or drones). 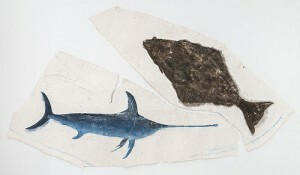 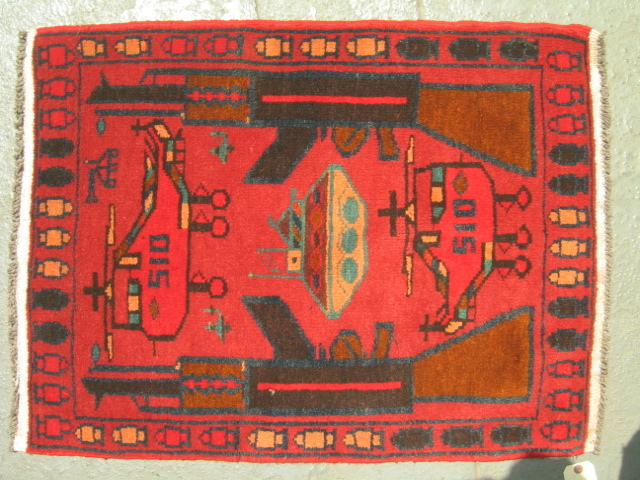 The blue rug below, #1566, features three different drones: Global Surveyors, Reapers, and Predators. 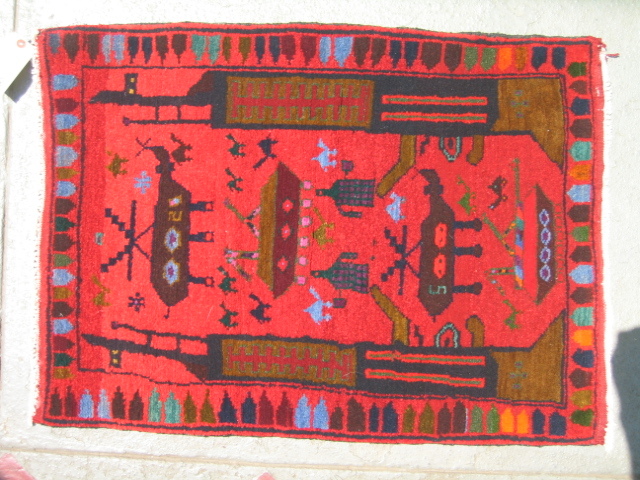 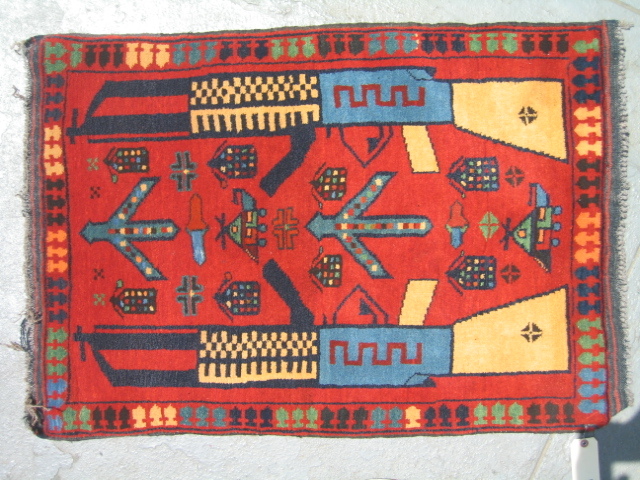 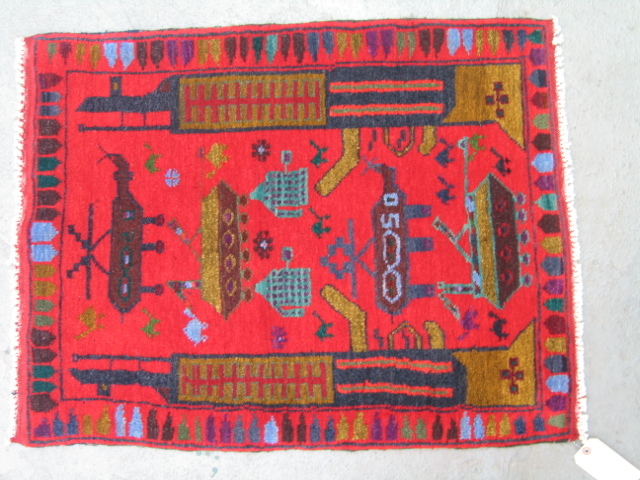 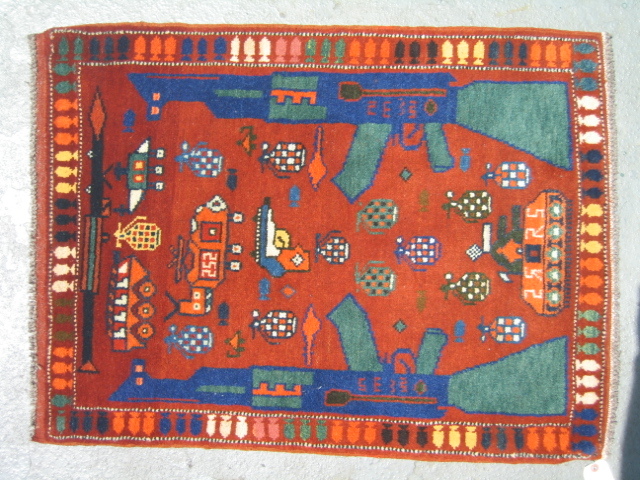 The second rug, below, #1580, features armed Predator drones. 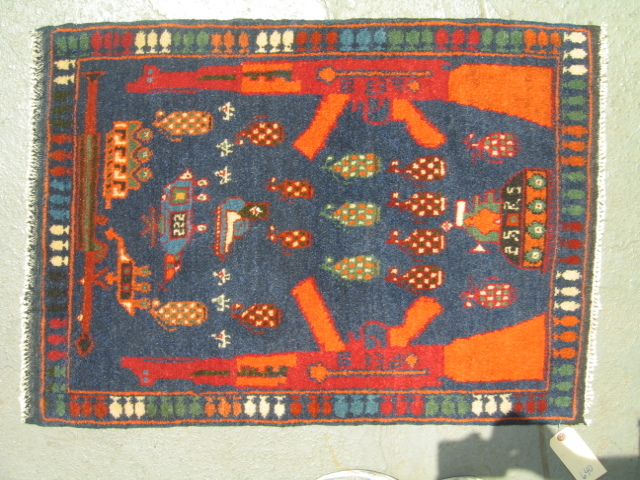 Below is the third rug of the set, and it is particularly interesting because the drones are colored red, white and blue. 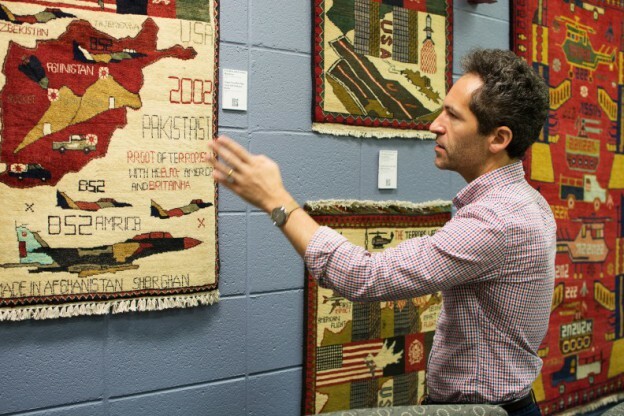 I didn’t notice this important color choice until photoshopping (rather GiMP’ing) the border photo when I noticed the interlocking red, white, and blue border. 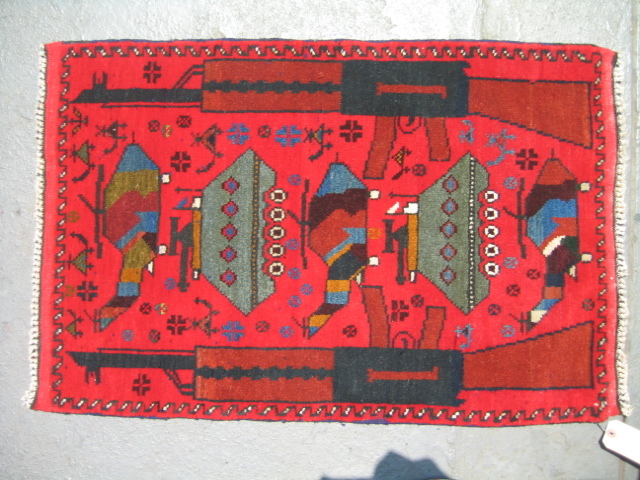 This entry was posted in Rug Images, The War, The Weapons on December 24, 2014 by Kevin. 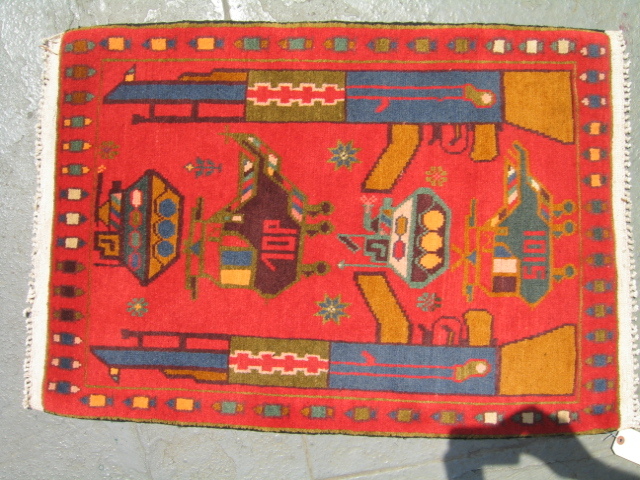 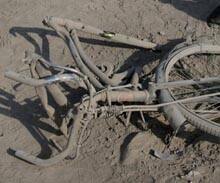 This entry was posted in Rug Images, The War, The Weapons on October 26, 2006 by Kevin.